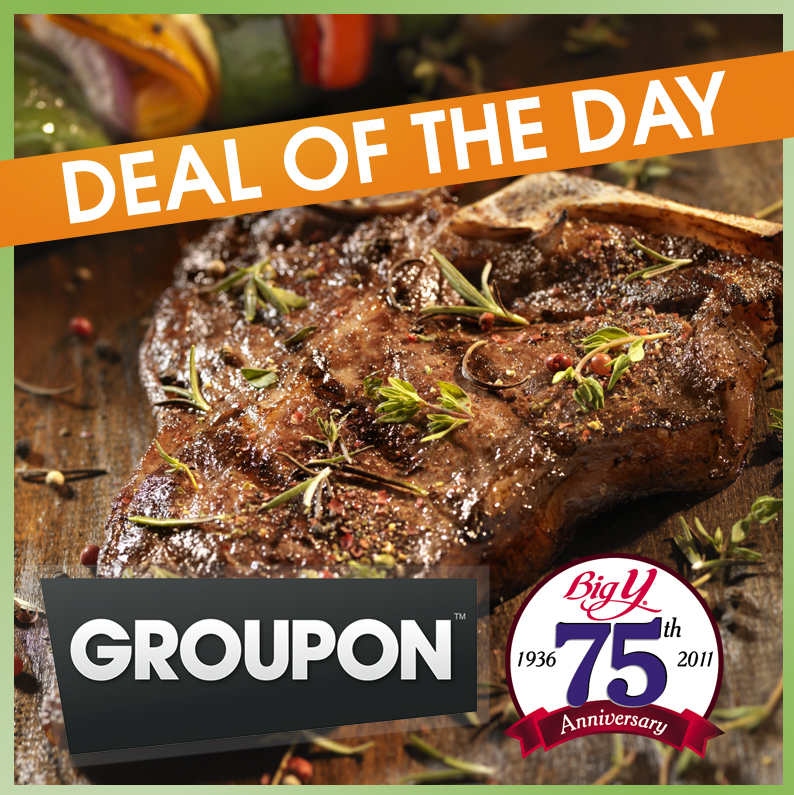 There is a Groupon Deal available for today and tomorrow only (6/14 – 6/15) for Big Y stores. It’s for $20 of Porterhouse Steaks for only $10. You can use the Groupon in store starting on 6/15. This offer is for all MA & CT shoppers. Limit 1 per person, 1 per cardholder. Big Y Express Card sign-up required for non-cardholders.